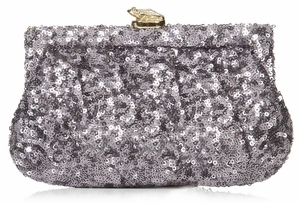 This pleated frame clutch is 100% silk with sequins and measures 7" long x 4.5" tall. It has an inside pocket, and optional shoulder strap, and is beautifully topped by a gold plated brass frog. 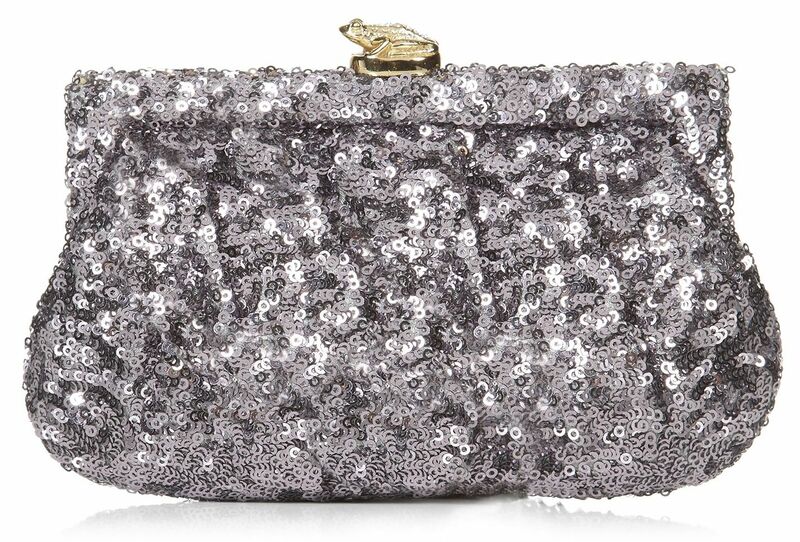 While the most petite in the collection, it has plenty of space for every girls essentials.